How to organize my Personal Library? 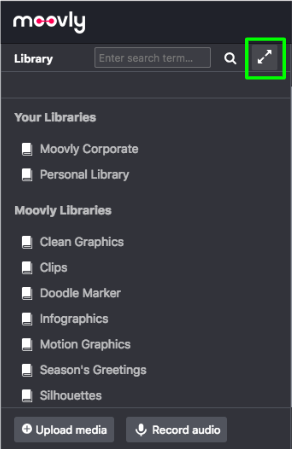 All objects in Moovly are organized in libraries (e.g. Infographics, Clean Graphics, Stamps, Personal Library, Storyblocks, Clips, and Doodle Marker), which you can find on the left-hand side of the application. 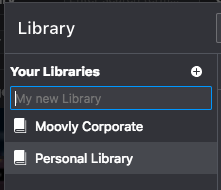 Apart from the standard libraries available in Moovly, you also have a Personal Library to which you can upload your own media. 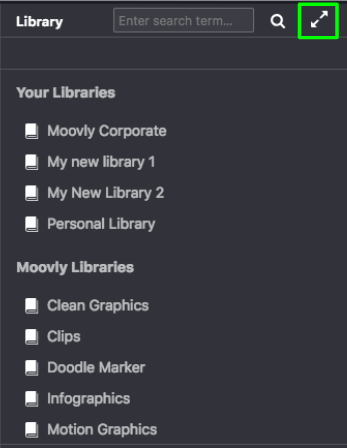 If you have a paid Moovly subscription (Pro, Edu Pro, Enterprise...), you can create additional personal libraries, and for example create a specific library per project, per client etc. 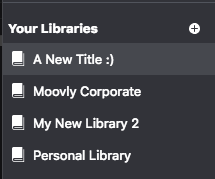 You can rename these libraries and move objects from one library to another. (Please note this is only possible with personal libraries you have created). (Please note this is only possible with uploaded objects in personal libraries you have created). 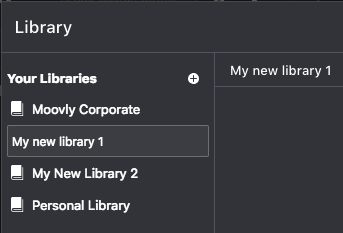 To move an object from one personal library to another, just drag it from the current library and drop it on the destination library name. 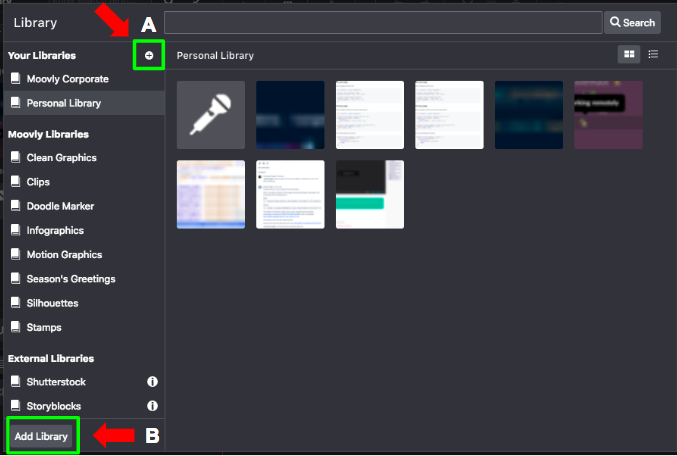 How to delete an item from my Personal Library?